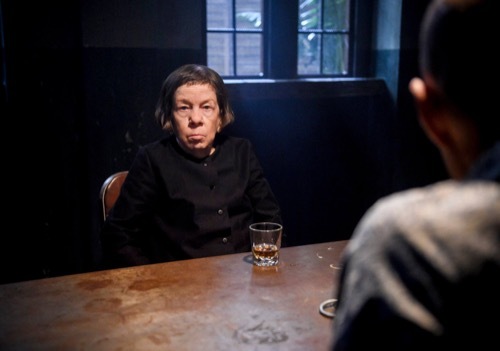 The team had gone to Vietnam in their search for Hetty on tonight’s all new episode of “NCIS: Los Angeles”. Hetty had up and quit the agency several months back without an explanation, but her team knew that wasn’t like her and so they’ve been searching for her ever since. They found out she had gone to Vietnam and that had something to do with her mysterious past that she never liked to talk about. Though the fact she was looking back on what happened in her time as a government agent and hadn’t wanted the government involved meant that whatever she was doing had the potential to blow back on NCIS as well as the agents there. Hetty had cared about her agents and they had become the family she never seemingly had the time to have on her own. They in turn loved her like she was family too. That’s why they had been so concerned when she disappeared and that’s why the flew to Vietnam knowing the risks. They knew that if they were caught by the Vietnamese government that their own would have to disavow them and so the team did their best to keep their mission under the radar. They bought guns using back channels and never stayed at one place for too long in case someone wondered why they were asking about someone named Hetty yet the team received all sorts of help from back home. Eric and Nell tried tracking Hetty’s movements and they began by figuring out how she got into the country. Hetty had used several boats rides, human traffickers, and had even flown part of the way. She apparently had her pilot’s license and that’s something neither of the techies had known about. The two had also tried following her movements on the ground and they found themselves running into problems as they tried to get answers, so they questioned asking for help. They talked about possibly taking Hetty’s disappearance to SecNav to see if they could get help from there though they ultimately decided that should be their last option once everything else failed. They then tried monitoring her buddies and while they waited for that, Nell started digging through Hetty’s mail. Nell had been getting some help from Hidoko when they came across a few weird pieces and so someone else was brought in to help, her sister. Sydney was asked by Mossley to help with the search and so she came in to help. She looked through Hetty’s mail with Nell and they found out that Hetty knew Queen Elizabeth. The queen had even written to Hetty saying she couldn’t wait to see her at Sandringham that Christmas and so there was a wealth of things that no one knew about Hetty. Hetty it seems had also helped a family to leave Vietnam after the war and so they had asked Kim Nguyen to come in because she was one of the few people that knew Hetty from that time. Kim Nguyen had told them the young man that had taken the photo of Hetty with her team in Vietnam was someone named either Harris or Harrison. She hadn’t known much about him or why Hetty had returned to Vietnam and so she asked them if they had talked to anyone at the monastery. She said Hetty always stayed with the monks when she went back and so the women passed on that message to those in the field. Sam, Callen, Deeks, and Keni then traveled to the monastery and, while the monk hadn’t known where Hetty was heading, someone else. CIA Officer Jeff Carol who no one believes was actually CIA because of how goofy and inept he was had surprised them all by actually turning out to be CIA. Jeff told them that the agency had found out an operative was being sold to the highest bidder and that he had come to investigate it, but the team had gotten upset by that and so Jeff told them he hadn’t been sure who the operative was until everyone started to show up. That included Hetty’s team in LA as well as the one from her CIA days. The other group had gotten to the monastery first and Jeff had done his best to convince them to work together. He told them that they both had something to offer the other and that became clear for all of them when they found out that Hetty had gotten kidnapped by a poacher/smuggler called Dang. Dang they believed had convinced Hetty that one of her old friends that had allegedly died in a helicopter crash was still alive and so she had come to investigate the matter for herself however Dang had used that to kidnap her and he was in the middle of selling her off to the highest bidder if they didn’t stop him. So the two teams came together for form a rescue squad and with Mossley helping them get satellite images – they stormed Dang’s compound and got both Hetty as well as Keane out. He had survived the helicopter crash and had later survived Dang, so he couldn’t wait to make it back stateside. As for Dang, Hetty decided to feed him to the same tiger he had threatened her with and so she promised to see him in hell. And while having Sydney around had brought up something she hadn’t wanted to remember, Nell made peace with her sister and this time it might even stick!